Wayne senior catcher Seth Strong and senior outfielder Jesse Wilson were named to the first team all-Greater Western Ohio Conference Central Division teams this spring. Strong recorded eight runs, 26 hits, seven doubles, a triple and three home runs. He had 19 RBI and one stolen base. He had an on base percentage of .456 and a .347 batting average. Defensively, Strong had 156 putouts and 27 assists. Wilson had 11 runs on 29 hits, seven doubles, a triple and a home run. He had 14 RBI and six stolen bases with an on base percentage of .345 and a batting average of .337. Wilson had 29 putouts and one assist. 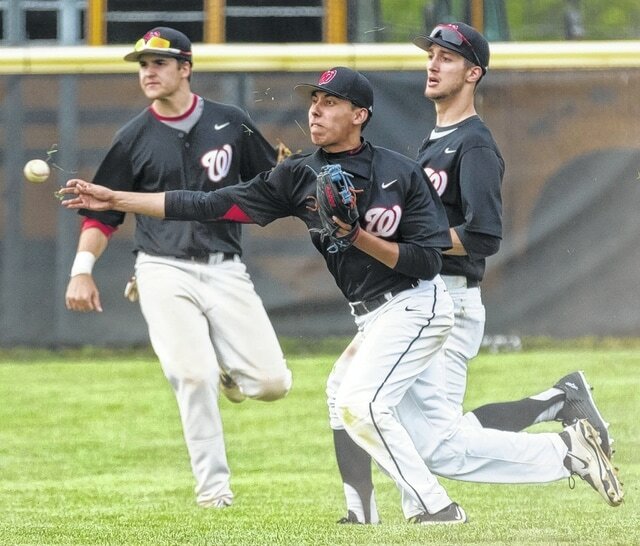 Pitcher James Harness and infielder Joe Sanchez were named to the second team all-GWOC Central Division squad. Harness had six runs and 22 hits with four doubles, one triple and a home run. He had 12 RBI with a .413 on base percentage and a .328 batting average. Harness was 2-3 on the mound with 45 strikeouts. He had 52 putouts and 12 assists. Sanchez recorded 26 runs and 24 hits with four doubles and two home runs. He had 17 RBI and 18 stolen bases with an on base percentage of .407 and a .312 batting average. He had 57 putouts and 43 assists. Receiving special mention was senior pitcher Andrew Collins. He had a 3-2 record on the mound with two saves and 18 strikeouts. Collins had one putout and seven assists.